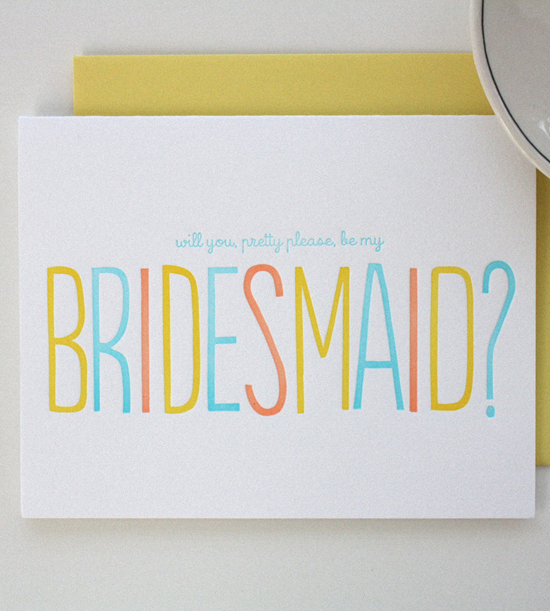 How cute are these proposal cards for bridesmaids? Love the happy colors and the crisp impression of letterpress! Pleasantly surprise your bridesmaids with a pretty card!